Doing Fort Lauderdale To The Max! is an absolute must for tourists. You'll meet other travelers and enjoy a mix of live and recorded commentary, music, food, exercise, and breathtaking scenery, Don't miss out. What a wonderful day! We made reservations for the Miami city tour & Everglades airboat ride. Got a tour of the whole city. Our bus driver & tour guide (Derek) was the best. Very informative & interested in making us laugh throughout the day. He interacted with everyone & it made you feel like you were spending the day with a friend. Take this tour if you want a way to see a lot of the city. It was a fun filled day & worth the price of admission. Thank you for a professionally run tour, I'd recommend it to anyone else and if I'm lucky enough to be in Miami again, would probably take the tour again! “Great Day, Excellent Tour Guide” My family had the good fortune to have Jim as our driver on what i can only describe as a wonderful day. From the point of pick (which was 20 seconds away from our hotel and bang on time) to the drop off nearly at our hotel door, Jim looked after all passengers extremely well. As said by another reviewer, exploring Miami was great fun for all of us, and i have no doubt that we saw much more of Miami than we could possibly ever had if we had tried on our own. We did the Miami sightseeing tour in the morning and the everglades eco adventure in the afternoon. Jim had a great wealth of knowledge of Miami and was glad to share it with us tourists. 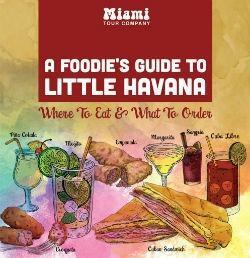 Visiting places like Ocean Drive, the Holocaust Museum, the book shop restaurant in Coconut Grove, Coral Gables, Biltmore Hotel, Little Havana etc. In the afternoon we had a drive to the everglades where we had a wild airboat ride which the kids loved. A great day made better by Jims humour, care and attention. Many thanks from the McCutcheon family in Scotland. I really can not stop telling my friends about your services what a great time we had W. We are locals but we really enjoyed the tour, very complete, you touched all most popular areas of Miami, there were places that I had never being there and the history was also very interesting because I did not know. The Everglades tour was excellent too.. The guide Jim, was very very nice, professional and always willing to answer questions and guide the tour. Really I enjoyed it a lot and I am planning to use the services in the near future. I do will like to do the Key West tour, so I am planing to go back and do more traveling with you. Thanks a lot. Our friends along with my wife and I had a terrific time on our recent tour. Our driver - Derek (I think his name was) was great. He was very courteous, and also very informative as per stories about the Miami sites, etc.. thank you for offering a fine tour. Are free tickets to Mansion Nightclub REALLY included?